Last updated on October 20, 2015 by Daniel Waldron for Armagard Ltd.
“Hi, we are building a house in Austin, Texas that will have an outside covered patio. We would like to put an LCD TV on the wall, but we’re wondering if it would be too hot and humid for a regular TV? By all means, you can take the advice of these respondents. However, while these responses are solutions, they’re not long-term solutions. No doubt, if you’re faced with the dilemma of the best way to install an outdoor TV in your backyard at your home in Texas, you want a solution that gives you value for the dollars you’re spending, right? With average summer temperatures in Texas hitting above 93oF, this forum member was right to ask whether a standard TV could survive the Texas heat. Depending on the TV manufacturer, and who you believe personally, a typical LCD TV can operate in temperatures between 40oF and 90oF, in terms of heat. It is possible for an outdoor TV to survive in the Texas heat. However, the typical TV consumer will likely purchase a unit that can operate around the 70oF mark. Why? Because they’re likely to be using it indoors, where environmental temperatures would be highly unlikely to exceed this range. Taking an indoor TV and making it an outdoor TV is a game-changer in terms of what’s needed to keep it working. Yet, there is a solution that will enable Texas residents to install an outdoor TV with longevity in mind. An outdoor TV enclosure offers homeowners and homebuilders in Texas a solution at a price point similar to a purpose-built outdoor TV, but with a distinct advantage, longevity. Take Armagard’s High Bright LCD screen, complete with protective enclosure. This unit is capable of keeping the high-brightness screen operating in temperatures of 130oF, above and beyond any temperature the state of Texas can muster. Is Texas too hot for an outdoor TV in your backyard? The answer’s a resounding, no! 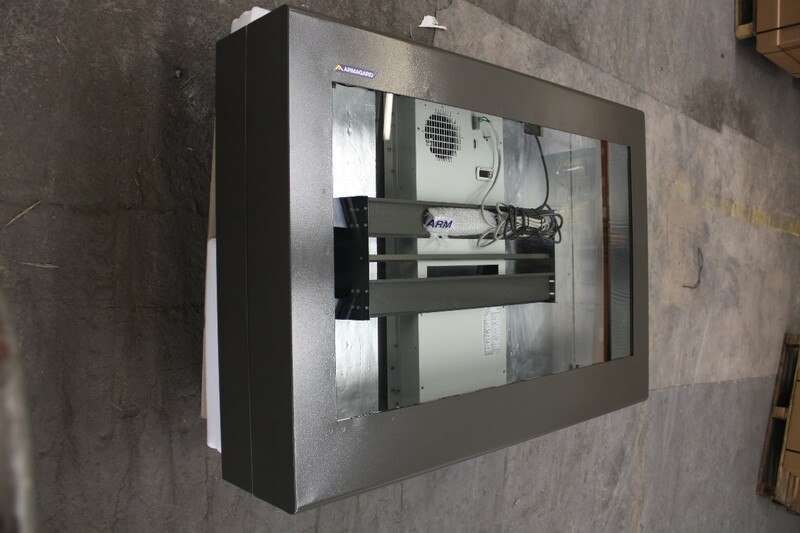 Enclosures can be fitted with fans and air-conditioning systems, so while the external temperature in Texas soars, the internal temperature of the enclosure keeps your outdoor TV from overheating. A newly manufactured outdoor TV enclosure complete with air-conditioning system. Perfect for the Texas heat. What’s great about an enclosure in your backyard is the flexibility it gives homeowners. While an enclosure fitted with air-conditioning can cost $3,000+, complete with shipping etc. they do offer better value for money. How? They last longer. In fact, enclosures can last for up to 10 years or more. Therefore, should your TV come to the end of its usable life, you simply replace the $300 LCD TV, you don’t have to replace the enclosure. One enclosure can protect several LCD screens during its lifetime, limiting your costs to a $300 TV every so often. On the other hand, if you buy a purpose-built outdoor TV and it breaks down after five years, you end up paying 10 times that amount for a $3,000 unit to replace it. In the space of five years, you could potentially have to pay out $6,000. Long-term, the cost of repairing or replacing a purpose-built outdoor TV becomes mega expensive. Additionally, an enclosure allows you to replace a TV unit yourself. With a purpose-built TV, you would have to wait for an engineer to come and set you up with a new one. 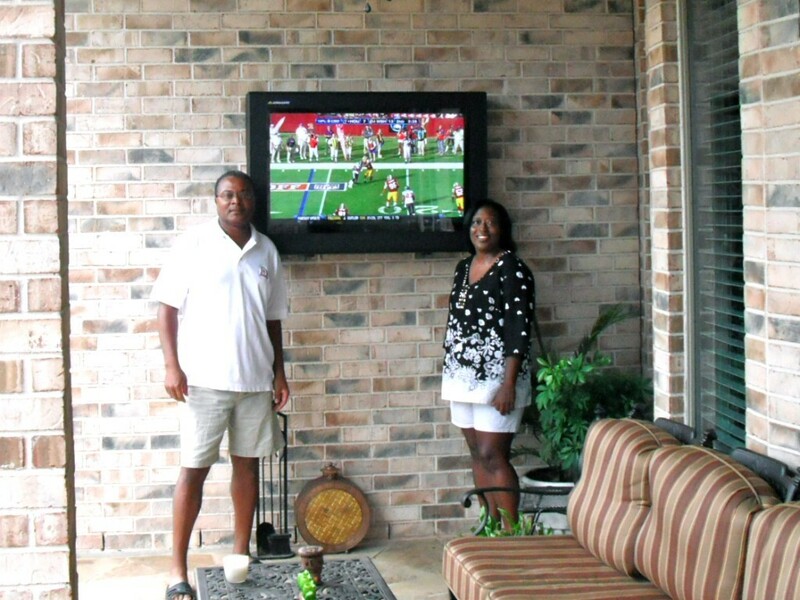 The glass used on an outdoor TV enclosure can be coated with anti-glare or anti-reflective technology. This means that in the bright Texas sun, your view of the screen is not obscured by glare or reflections. Enjoy optimum viewing of all your favourite TV programmes, even at high noon! 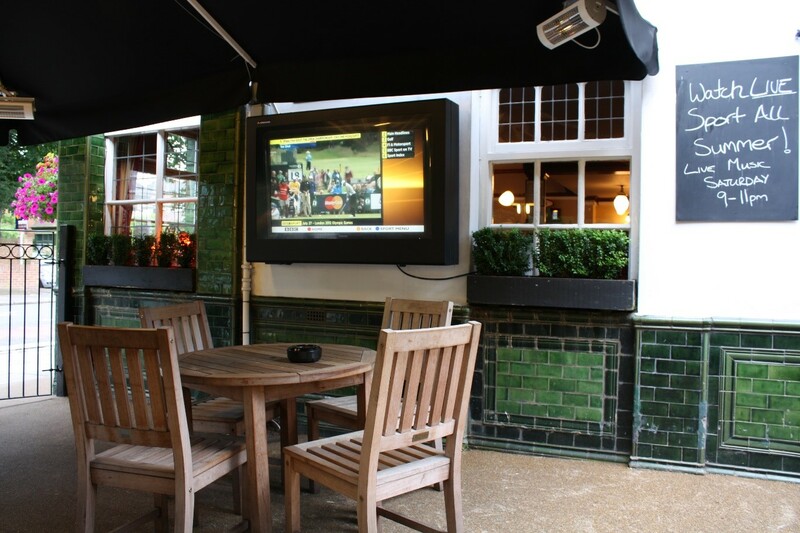 Additionally, an outdoor TV enclosure is superior to a purpose-built outdoor TV system in terms of security. Naturally, a ready-made outdoor TV is mounted on a wall, and many are not protected against removal from that wall. All it takes is a determined thief [or thieves] and before you know it that $3,000 TV in your backyard disappears. Enclosures on the other hand are the nemesis of outdoor TV thieves. They’re lockable and because they’re manufactured using powder coated mild-steel, they prove much more difficult to escape with in a heist, making them an excellent theft deterrent. The outdoor TV enclosure. Compatible with 42”, 47”, 52” & 55” screens of any make and model. Order yours now using the onscreen, ‘Quick Enquiry’ feature or call the US office on 1-866-434-0807.